A beautifully told encounter with evil that deftly flits between light hearted zany and the brutally horrific, I've not felt so successfully out-manouvered by a movie in some time now. Complex and sprawling. It moves from quirky police procedural and murder mystery through to occult horror, going from comedy at the start to full blown darkness by the end, taking in questions of faith - both personal and institutional - along the way. It's not a straight transition though; even in Jong-Goo's darkest hour, some humour is allowed to seep through. I particularly liked 'rake-head' and the way the shaman, Il-Gwang, appears on Jong-Goo's mobile phone with caller ID "Shaman". The significant tonal shifts might threaten to destabilize the whole thing if it wasn't so deftly handled. Great performances all round and the cinematography is excellent throughout - some spectacular scenes, particularly the parallel ceremonies of Il-Gwang and The Stranger (also an exercise in the fine art of misdirection). As the film picks up pace towards the end, the twists pile up and you're never sure which way it's going to go, keeping you on the edge of your seat right to the end. 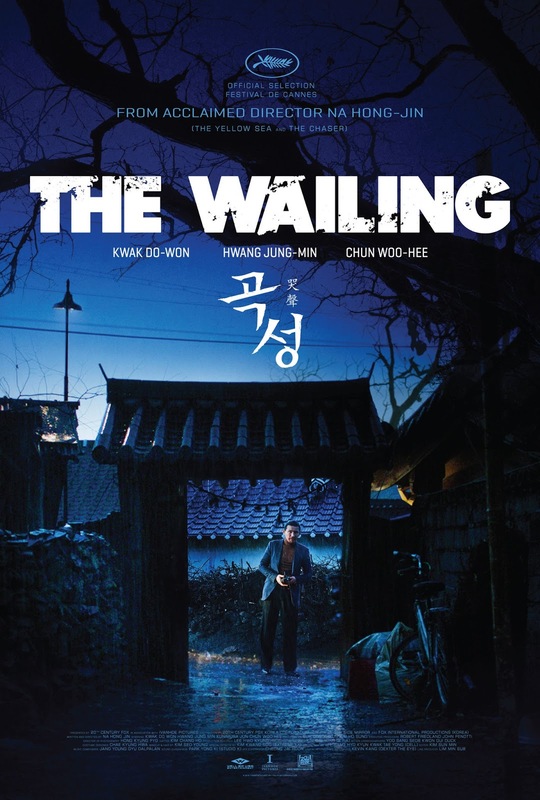 It's the second film I've seen from Hong-jin Na, following his impressively brutal debut feature The Chaser, and I think he's set a personal high water mark with The Wailing. I really want to check out his other film, The Yellow Sea, now as well.